The AI revolution maintains Moore’s Law for continuously doubling computer capacity at half the cost every two years. New computing algorithms are routinely unearthing new cause/effects relationships. Traditional medicine is practicing the reverse of Moore’s law. “Eroom’s law” observes that drug discovery is becoming slower and more expensive over time. In pain relief, runaway costs (= U.S. military budget and rising) only achieve an opioid epidemic, declining life expectancy, and little more pain relief. As computer engineers, the current algorithm doesn’t make sense. 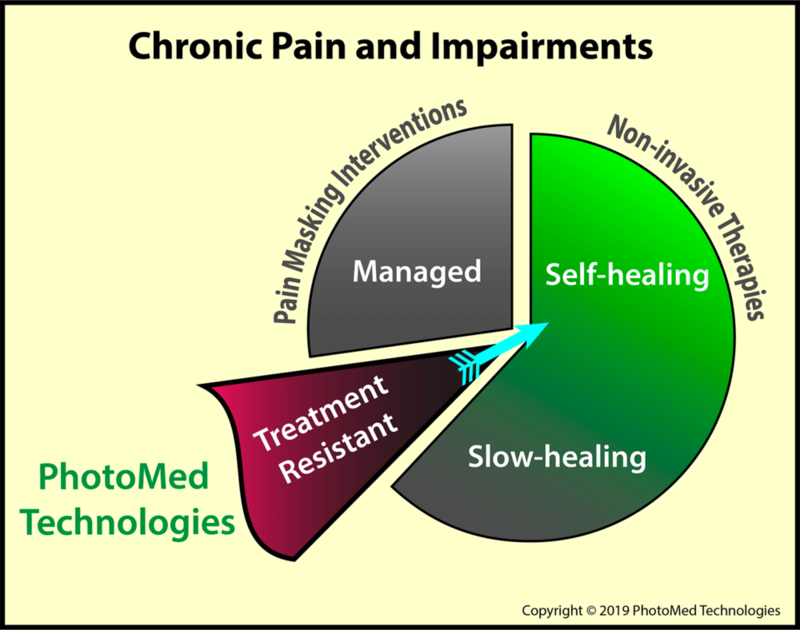 How can pain ever end if the medications must remain active in the body to manage pain relief? · Converge on improving functions that continue without the intervention - Homeostasis? Outcome: return of normal function - bug fixed? For example, what happens to your cold and numb hands when you come indoors? Problem: Many chronic disorders includes persistent abnormal skin temperatures suitable for algorithmic feedback. Input: The operator algorithmically adjusts the therapy based upon feedback during the visit. Feedback: Warming identifies the body’s acknowledgement of the therapy. Outcome: Therapy can be stopped for the visit or may no longer be needed. Two visits and 2 cents worth of electricity are enough to determine that the therapy probably won’t work for that patient. Let computers, big data, and AI connect the dots among treatments, responses, and outcomes. Feedback, usually no response, arrives in 60 seconds after therapy begins. 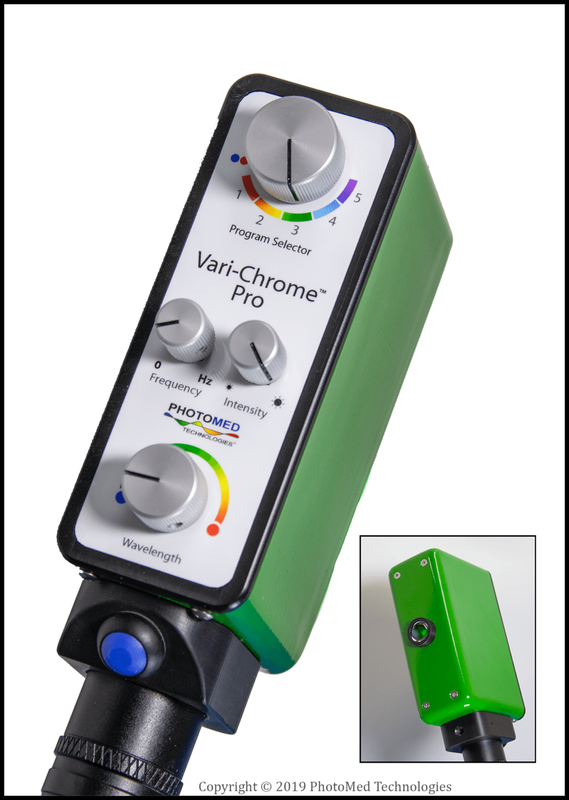 Responses, or lack of response, to varying wavelengths of light from the Vari-Chrome® Pro are recorded by the Instant Feedback System™. The responses puzzled our anesthesiologist and neurologist advisors.